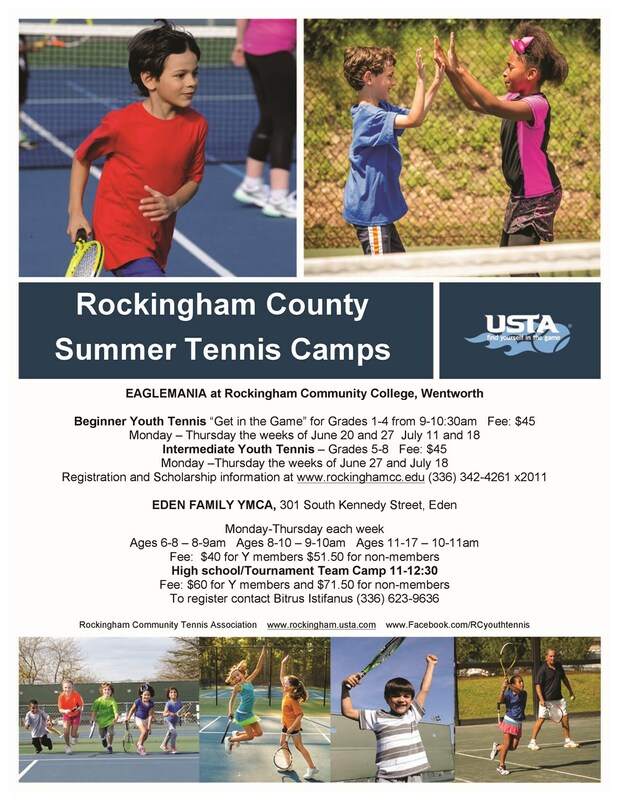 Tennis Camp will be offered for 2016 Eaglemania at Rockingham Community College and Eden Family YMCA. this summer. For a complete listing of summer tennis camps in the Triad area, click here to go to our Summer Camp website page.